Adjustable downlights are becoming more and more popular in both homes and businesses. While some downlights are stationary. Such as usually in the kitchen ceiling, lobbies of hotels and other buildings, where you want lights to shine directly down. Stationary LED downlights work well as part of your layered lighting plan. Under Your Upper Kitchen Cabinets- Many people use small adjustable downlights under their upper kitchen cabinets in order to light up the counter top below. By having tilting LED downlights placed under your upper kitchen cabinet you can adjust the light to shine directly on your work area. Nooks or alcoves where you place sculptures, statutes that you may want to highlight. Adjustable downlights allow you to shine the light directly on the art work you want to show off. Less wasted energy- LED stationary and tilting downlights don’t create excess heat like halogen light does, so since less energy is wasted it actually takes less energy for these lights to supply the lights that they need. Lasts Longer- Halogen downlights last about 2500 hours while LED adjustable downlights lasts 20,000 hours providing you with light for much longer than those halogen lights. Won’t raise your energy bill- because LED downlights burn cooler, they end up saving you energy, both in running the lights themselves and due to the fact that they won’t heat up your home requiring you to turn up the air conditioner during the hot summer months. LED adjustable downlights are better for the environment- LED lights are 100% recyclable making these lights better for the environment. In addition, these lights do not emit any CO2 into the atmosphere. Less Maintenance- Since LED adjustable downlights last longer than other types of lighting, you don’t have to change the lights as often, which means it takes less maintenance to keep your room or area well lit. Here at Ultra Beam Lighting LTD we offer a variety of LED downlights, both stationary and tilting downlights. Our lights are high quality and we use the very latest in LED technology in each of our lights. Our modern lights are perfect for both your home and for commercial use. Why not browse our website and check out the great looking downlights we have to offer? Should you have any questions you can speak to our online representative or give us a call at 0800-678-5156. Please make sure that when you have any lights installed in your home you hire a qualified electrician to install those lights for you. 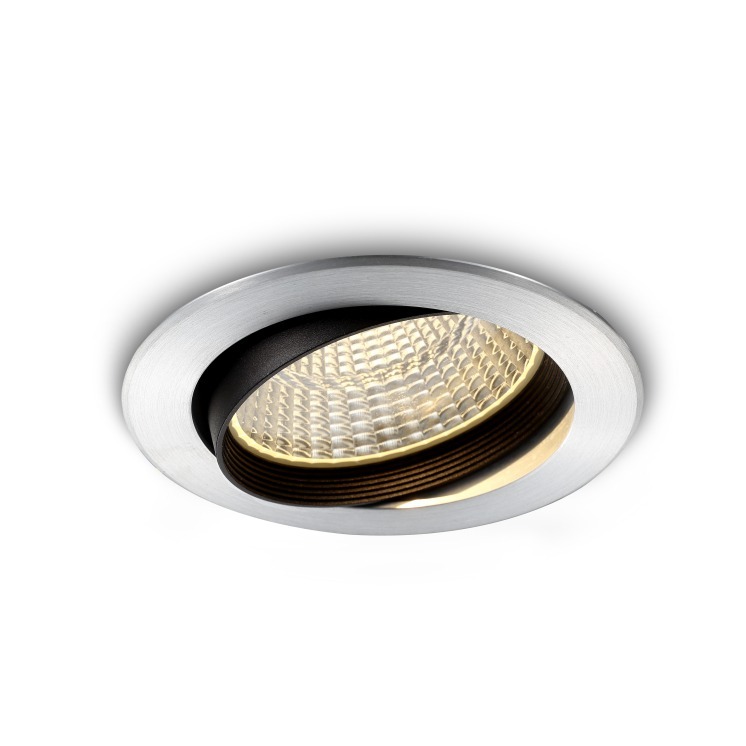 LED downlights are becoming more and more popular in both homes and businesses. While some downlights are stationary. Such as usually in the kitchen ceiling, lobbies of hotels and other buildings, where you want lights to shine directly down. Stationary LED downlights work well as part of your layered lighting plan.